Who is Pirate? Why does she do what she does? Where did she come from? Pirate’s more of a mystery than she seems! 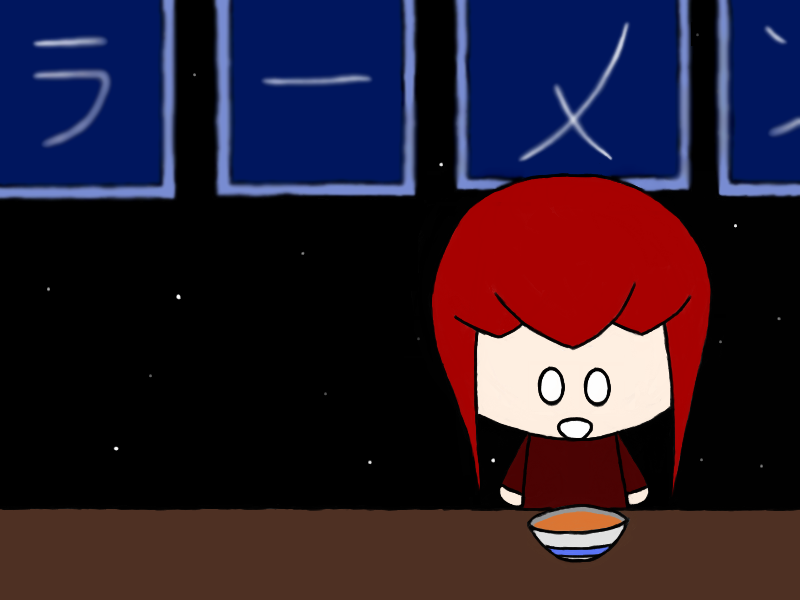 So let’s find out more, in this new visual novel* where Pirate has a short conversation with someone at a ramen stall in the middle of nowhere. PS: Remember to extract the folder to your desktop and then double-click on the icon of the girl (not Pirate) for the program to run. The visual novel won’t start if you try to run it in Google Drive, or without extracting it first! Once, Pirate had a bowl of ramen!